To foster the total and personal and spiritual growth of each young person. 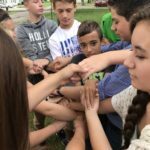 A team of catechists plan each week’s session to include gathering and social time, games and community builders, Scripture Study, Prayer, and discussion of faith topics. 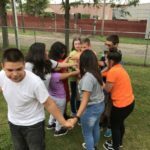 The curriculum utilized is called “Catholic Connections” and is designed to help young people make connections between the teachings of the Catholic Church, their everyday lives, and their faith community. Topics explored include: The Dignity of the Human Person, Responding to God’s Call, Revelation and Holy Scripture, Models of Prayer, Life Choices, Death and Dying, Respecting Sexuality, Respecting Life, Working for Justice, Sacraments, Mary and the Saints, etc. 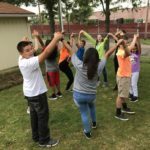 The Jr. High calendar attempts to include lessons and activities beyond the church environment. 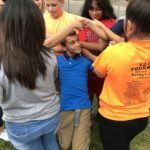 We schedule 1 or 2 outside events each semester such as field trips, cook-outs, overnight retreats, movie parties, etc. 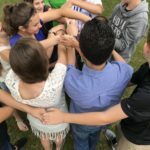 When young people are ready to p repare for Confirmation (8th or 9th grade), they express their desire to join the preparation class by signing a covenant agreement. 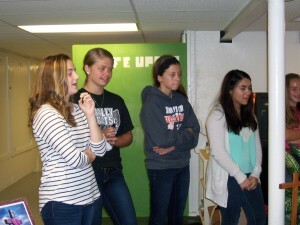 Confirmation classes meet once per month, usually on Sunday evenings. These are in addition to regular formation in Youth or Catholic School. Classes explore such topics as Vocations, Social Justice, The Gifts of the Holy Spirit, The History and Celebration of Confirmation, etc. Each young person chooses an appropriate sponsor to walk the journey with them and witness what it means to be a Christian in society and live out the life of faith. It has been our tradition to combine with St. Mary/St. Benedict Parish for both our Confirmation preparation and celebration. 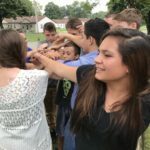 This gives our young people the opportunity to make connections beyond the parish level and witness a small part of the universal church. The Confirmation retreat at the end of the preparation process is a powerful experience for each young person. 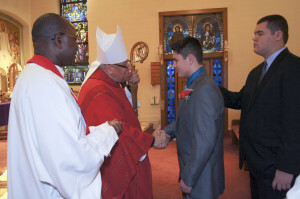 Confirmation is celebrated in the spring with Bishop Murry.